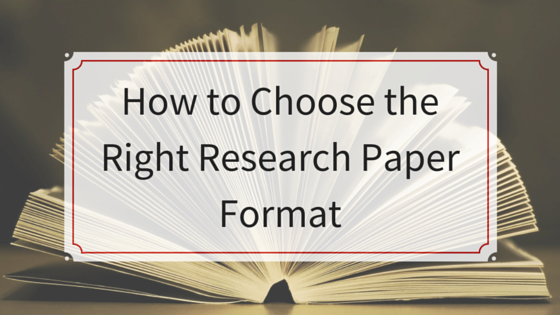 Your research paper is going to have certain elements in it anyway, so let’s cover those first and then you can pick the right research paper format to suit your paper, but the truth is that they are not going to vary very much. You are going to have to set this up the way your professor wishes. It is highly likely that your college or university is going to have its own rules on how your title page is formatted, but in simple terms, it is going to have your title, your college, your name, and any other details such as a running header, author notes or extra subtitles. This is often on the second page and is going to either be a quick summary of the entire piece (write it when you have finished your essay), or it is going to be an abstract of your work. It need not be very long. Two paragraphs are often enough, and all you are doing is setting people up for what to expect. Either this is within the introduction or it is just after. This sets up the point of your paper. It tells people what your essay is about, and what you are looking to either research neutrally, or what you are trying to prove or disprove. This is where you show what you have researched. You show what you have learned by adding in relevant points to this section. This is where you put your research into perspective and show what may be important. You go over the research and show it is relevant. This is an alternate way to go instead of having analysis and discussions. You analyze the evidence you have produced, and then come up with evaluations explaining how it may be relevant. The thesis should be referenced and you should pull points from your analysis and evaluation/discussion to resolve your research paper. When you are thinking about your research paper format, you should check to see which is required by your college or your course. If they are forcing you to pick your own, then do not go against the grain. You may want to use a lesser used format so that you are different, but it will not have the desired effect. It is often the stale, and the same-old-same-old that scores the highest. It is part of human nature because if you ask people what they want, then they say they want more of what they already like.